This Sunday is Britain’s time to shine. Each year, the British Academy of Film and Television Arts holds their film awards relatively close to the Oscars, and in the last ten years plus, they’ve done a good job of helping us pick Oscar winners. While Best Picture has been spotty in recent years (they’ve gotten the last four wrong) they still have significant crossover with the Academy’s voting body and may help us with tricky categories, like Christoph Waltz and Mark Rylance’s upsets in Best Supporting Actor in recent years, and Arrival’s win in Sound Editing two years ago. I know that sounds a bit random, but trust me, the weird upsets at the Oscars are often explained by BAFTA wins. Here are my predictions. The only winner voted on by the public, this award doesn’t have any significance to the Oscars, but it’s fun to try and predict who will win. The nominees are Jessie Buckley, Cynthia Erivo, Barry Keoghan, Lakeith Stanfield, and Letitia Wright. I am going with Letitia Wright because she was only in the biggest film of the year, whether that’s box office or culturally speaking, and she’s also had found success with television roles, ie Black Mirror. While my heart last year said War for the Planet of the Apes, BAFTA steered me in the right direction when they gave Blade Runner 2049 the award for its visual effects. I think the same will happen this year with First Man, though this is the only award Black Panther is up for, so that may strike. Then again, that film didn’t even land a nomination at the Oscars, so if BAFTA is voting with the mentality of “predict the Oscars, predict the Oscars…”, then that also helps First Man. I have this film winning both the sound categories at the Oscars, and I think BAFTA will fall in line. I’d look out for Bohemian Rhapsody here, though, seeing as it had more support at BAFTA than at the Oscars, so it might end up pulling a lot of wins in the tech categories. A side note, since there is no Best Original Song category here at BAFTA, they may give this award to A Star is Born since both Lady Gaga and Bradley Cooper are on the ballot. Even though Beale Street only has two BAFTA nods, I think it has a fair shot at winning both (and it may go 3/3 at the Oscars, too). Nicholas Britell seems to be the favorite to win at the Oscars, and without First Man or Black Panther here, I think he’s got this one. 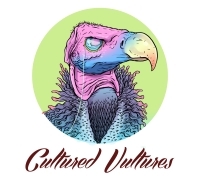 Similarly, the Oscars will line up with this one, and even though this category has five nominees and the Oscars only have three, I think they’ll go with everyone’s predicted winner, Vice. This is the first BAFTA I have going to The Favourite, and it won’t be the last. This might also be The Favourite’s easiest win of the night, but that’s up for debate. I think a win in both of these categories helps sink in the idea of The Favourite repeating at the Oscars. Black Panther (which isn’t nominated here at BAFTA in these categories) will put up a big fight, and it won both categories at the Critics Choice Awards, but I think the more traditional Oscar film will pick up the wins. Every year, BAFTA hands out a few head-scratchers when it comes to winners, and I’m taking the long shot on this one. Not only did Bohemian Rhapsody land seven nominations here, but it recently won the ACE Eddie for Best Dramatic Editing in a Motion Picture. If it wins here Sunday, I’d look out for a repeat at the Oscars. The Favourite, Vice, and First Man all have equal shots of taking Bohemian down, but I think they’ll be good with these other three films in other categories. Alfonso Cuaron’s win here is no contest. Even if BAFTA goes all in on The Favourite for some of the bigger awards, it’ll likely lose this one. While I’m fighting in my head over this category at the Oscars, I think BAFTA will hand the win over to Mexico a little easier. Then again, Cold War does have four nominations here (it only has three at the Oscars), but I feel Roma has this one. I will argue this will be another weird win that makes everybody question everything. Thus far, we’ve seen the Producers Guild give Best Documentary to Won’t You be My Neighbor? (not nominated at the Oscars), and the Directors Guild give Three Identical Strangers Best Documentary (also not nominated at the Oscars). I have a weird suspicion that BAFTA will follow suit and give a different doc that’s not up for the Oscar a win, and that’s the Peter Jackson WWI phenomenon They Shall Not Grow Old. The film has sold very well around the world, and especially considering a lot of the work on the film was done on the film in the UK and it features British soldiers, I think this is one everyone’s going to be saying “why wasn’t I picking that one”? Then I can gloat about it for, well, about a day. Honestly, though, Free Solo, Three Identical Strangers, and RBG also have a say in this fight, so there could be a big showdown. Also, Mcqueen, the fifth nominee, is also up for Best British Film, so that may have some clout here as well. One category that is almost guaranteed to not be a fight is this one. Spider-Man has dominated everywhere this season, and I don’t see it stopping short on Sunday. I was a bit surprised with how well BlacKkKlansman did here at BAFTA, and I see this as an opportunity to give the film a win. Plus, it’ll be great to see Spike Lee win. This is, for me, the best film of the year that’s in the Oscar race, so any wins this film gets are just fine with me. However, I will caution everyone that two years ago when Barry Jenkins won for co-writing Moonlight, the one place he lost was BAFTA, so if they feel an IOU factor, they could give him the win for If Beale Street Could Talk. A more open category, I think this will be the first place this season The Favourite picks up a win for its witty and provocative script. There is a lot of competition here, specifically Green Book, which may not have done as well over here as a few other films (four nominations in total), and Green Book may well win the Oscar in this category, but I think The Favourite will pull out the win. After losing the Screen Actors Guild Award, Weisz’s Oscar chances are now in dire jeopardy. I think this race comes down to her or Amy Adams for Vice. However, while Amy has had more nominations than Rachel (this is Amy’s seventh nomination and Rachel’s second) and this would be her first BAFTA win, I think the movie she’s in is wearing her down. Vice only landed six nominations over here, and to put it in perspective, The Favourite has twice as many nominations. The big ringer here for me is that Rachel Weisz famously lost BAFTA for her Oscar-winning role in The Constant Gardener (she was nominated for Lead Actress at BAFTA but was Supporting Actress everywhere else that year), so this would be a huge opportunity to make up for that. Therefore, I think she’ll land the win. I make the same argument for Mahershala here that I did for Rachel Weisz. He famously lost BAFTA two years ago to Dev Patel in Lion (and frankly I think his performance was the better one), and this would make up for that. Also, it’s a spot to award Green Book. While it does only have four nods, one of them is Best Film, so we can’t discount that. However, if BAFTA really wants to be “proper” about it, they’ll stick with fellow Brit Richard E. Grant in Can You Ever Forgive Me? I’d be tempted to predict him if he had won at SAG or Critics Choice, but that ship, I’m afraid, has sailed. 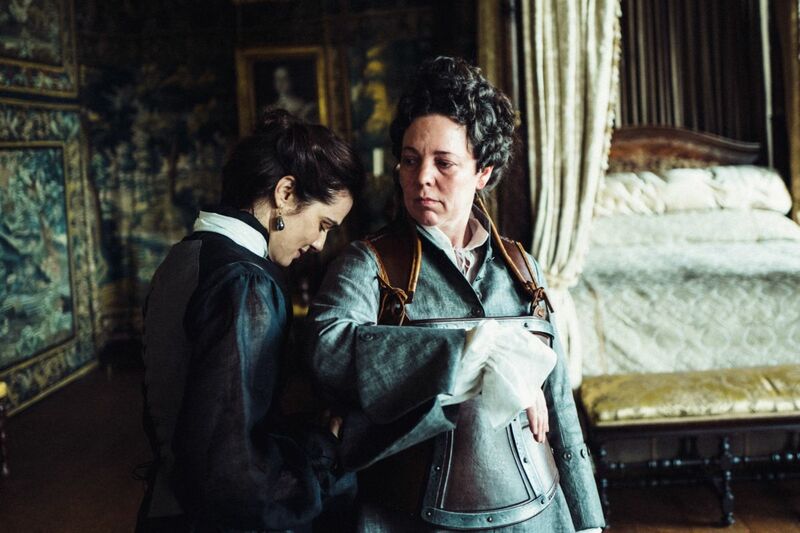 While I get the arguments for Olivia Colman to win here for The Favourite, I think this is Glenn’s year, and I see her winning here the same way Emma Stone did two years ago for La La Land, and she had to take down some pretty stiff competition. Personally, I think BAFTA, and for that matter a lot of voters across the various awards bodies, like the movie, but we haven’t seen any group really go out of their way and love the film (aside from the British Independent Film Awards). It went 1/5 at the Golden Globes, 2/12 at Critics Choice, and 0/3 at SAG. Ouch. BAFTA will be its best place yet, and I have it winning five awards in total, but this isn’t one of them. As we’ve seen, The Wife traditionally only gets one nod from each of the precursors, and while everyone’s argued that’s not enough support for the film, they’ve been proven wrong with Glenn’s continued winning streak. I think BAFTA will want to get in on the sweep mentality that’s going on here. SAG turned this race on its head, and I think Rami now has a clear path to a BAFTA and Oscar win. As pointed out in other articles, he’s now on the same path Eddie Redmayne was four years ago (win at Globe, SAG, BAFTA and Oscar, but losing Critics Choice). It also helps that Malek is playing Freddie Mercury, arguably the greatest British frontman of all time (seriously, though, who else gets that title?). Normally I’d say he’s the clear winner here, but there is a shot for Christian Bale to win for Vice. While he’s playing an unpopular American bureaucrat, Bale has gone 0/3 at BAFTA thus far, and that’s including a loss to Geoffrey Rush the year Bale won everywhere else for The Fighter. However, since I have both Mahershala and Rachel winning on the IOU factors, I don’t think the voters will go for three past losers in one night. I may be wrong, but I just feel like the momentum has shifted in Rami Malek’s favor. Is there any way he doesn’t win? This will honestly be a big showdown, arguably the biggest two-way-race of the night. Both Bohemian and The Favourite line up as traditional winners in this category. You have the biopic about a British legend with Bohemian Rhapsody, and the overly-British (if I daresay) costume drama with an edge with The Favourite. What’s pushing me over the edge here is the fact that Bohemian Rhapsody lines up with The Theory of Everything. That film won both Best Actor and Best British Film, and the popularity of that film helped fuel the wins. When you look at the global box office haul of Bohemian, $833.6 million and counting worldwide, that clearly blows The Favourite out of the water. There is one catch, though. The ballots for this category included the director of the film: Bryan Singer. Whoops! However, BAFTA has officially announced that his name has been removed from the nomination, so if it does win, his name will not go along. This definitely makes moral sense, considering all the attention that Singer has gained in recent weeks, and none of it good, but the fact that his name was on the ballot as voting was happening may be what The Favourite needs to push it over the edge. I’m gambling on this one, but then again, The Theory of Everything was criticized at the time for not being 100% historically accurate, and it still won. I know that’s a little different than sexual assault accusations, but still, there is a lot of love for this film, regardless of who directed it. Yeah, I think The Favourite will pull out the W here. I think part of the reason it won’t win Best British Film has to do with the voters putting it ahead in this category. Then again, Three Billboards outside Ebbing, Missouri pulled that feat last year, so I could be totally off-course. Roma has a good shot of winning here, too. While it may have come from Mexico, its style is very much in a European manner, similar to films like Bicycle Thieves and The 400 Blows, both of which were acknowledged by BAFTA (Bicycle Thieves won Best Film in 1950 and 400 Blows was nominated in 1961). So that’s definitely something to think about. And if it does win here at BAFTA, then that almost inevitably signals a Best Picture repeat at the Oscars for Roma. I think it comes down to one of those two films, but I’m going with the more traditional pick here. The BAFTA Film Awards air this Sunday, February 10th. We’ll see just how close or far away they go with their picks, and if we can rely on them at all for the potential Oscar winners.